Festival of New German Theater at the Stadttheater Aachen. roles to the fiery Carmen, and Musetta from La Boheme. and Requiem, all at Carnegie Hall. 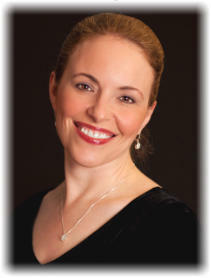 She has sung with Music of the Baroque, Princeton Pro Musica, the South Bend Symphony, the Bach Society of St.
Mahler to Verdi, and many more. an active performer in both concerts and recitals.